Huntington Beach is a California city southeast of Los Angeles. 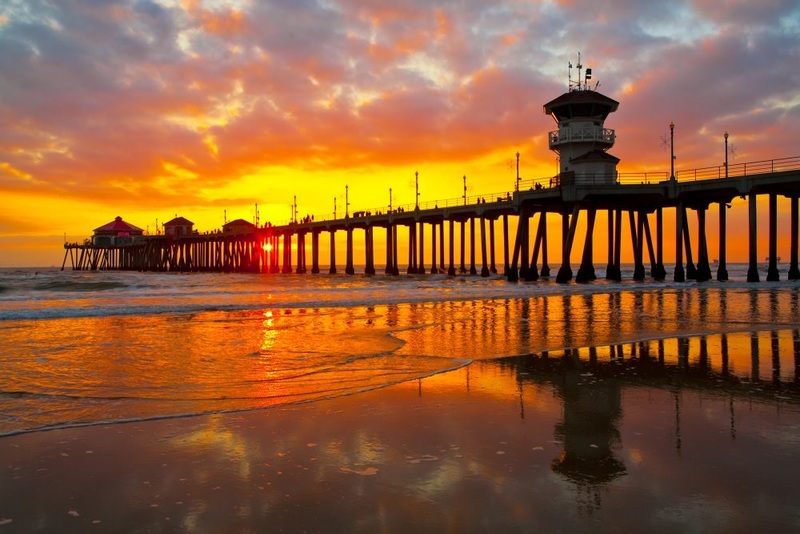 It's known for surf beaches, such as Huntington City Beach, with its long Huntington Beach Pier. The International Surfing Museum displays longboards and other memorabilia. Sprawling Huntington Central Park features fields, gardens and lakes, plus an equestrian center. Bolsa Chica Ecological Reserve's wetlands and dunes shelter hundreds of bird species.